We want to add “flavour” to the lifes of our consumers and surprise themby offering new new products, new flavours, new packages or new product concepts. 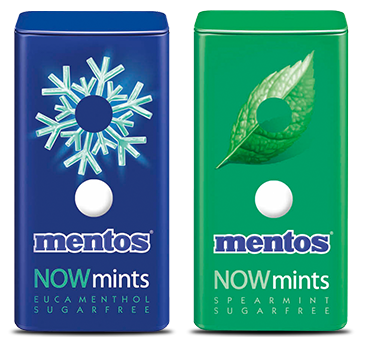 NOWmints, launched in 2013 is a successful innovation product in the sweetened tablet candy category of the Mentos brand. 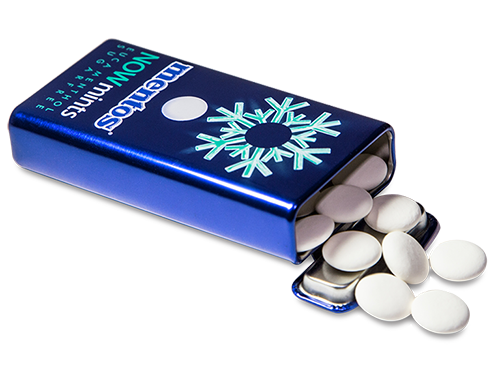 Due to this new production technology, NOWmints tablets have a exhilarating smooth surface during consumption. 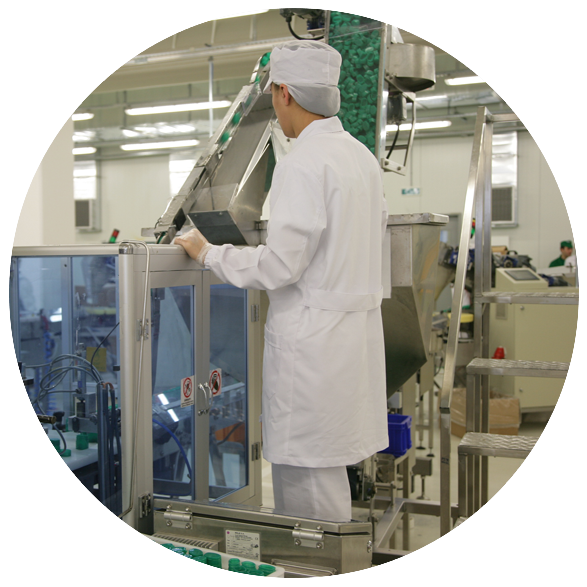 Due to the Xylitol reinforced formula, NOWmints does not contain any sugar and offers a rich freshness to the consumer with the varieties such as peppermint, eucalyptus, strawberry and orange flavours. With the tin box offered to the consumers, Mentos NOWmints became the indispensable symbol for elegance and privilege. 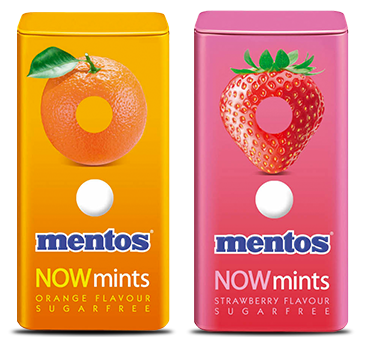 Besides the stylish design of this new packaging, developed by Mentos, the portability and open-close features are leading markings. 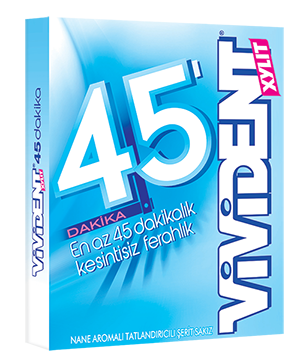 Minimum 45 minutes continuous freshness! 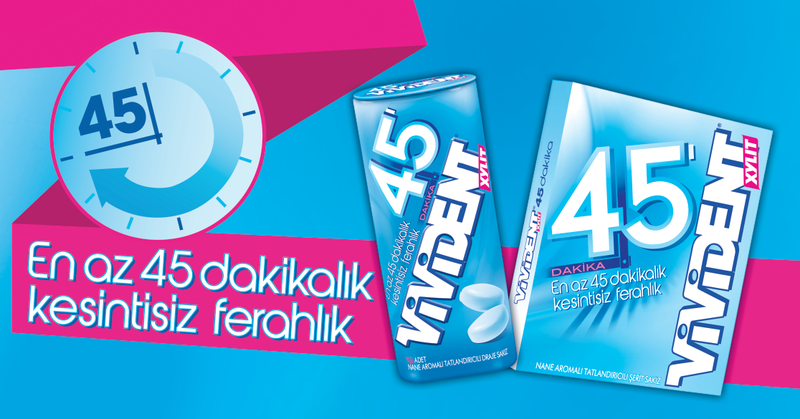 Thanks to the special formula developed with the latest technology, it promises at least 45 minutes continuous freshness. This long lasting feeling of freshness which was also tested by independent institutions comes from a special raw material in the formula. There are in two different shapes; mint flavoured long stripes and coated dragees. Long stripes are in an envelope packaging, while coated dragess are in tinbox.